“Win a Free Piano” Contest on Facebook! Would you like to win a brand new piano? Sonny’s PianoTV would like to invite you to enter a video into our “Win A Free Piano Contest” on Facebook. Just go to http://www.facebook.com/SonnysPianoTV and upload your piano video into the upload box and you’re in the contest. Facebook fans will vote on their favorites and the top three videos with the most votes win pianos. The contest starts on June 7, 2012 and voting runs for 5 weeks. The sooner you upload and enter, the better chance you have to let all your friends and family know so they can vote for you. We are giving away three Pianos! The Grand Prize is a Brand New Albert Weber 51 inch Upright Piano. Second place prize is a Stief Baby Grand Piano, 3rd place gets a Wurlitzer Upright. No joke. This is our second contest. Come join the fun. Good Luck and Happy Piano Playing. To view VIDEO TOUR click here! Chickering Baby Grand Piano, 5’3″ African Mahogany, rebuilt & refinished about 12 years ago, originally built circa 1930. 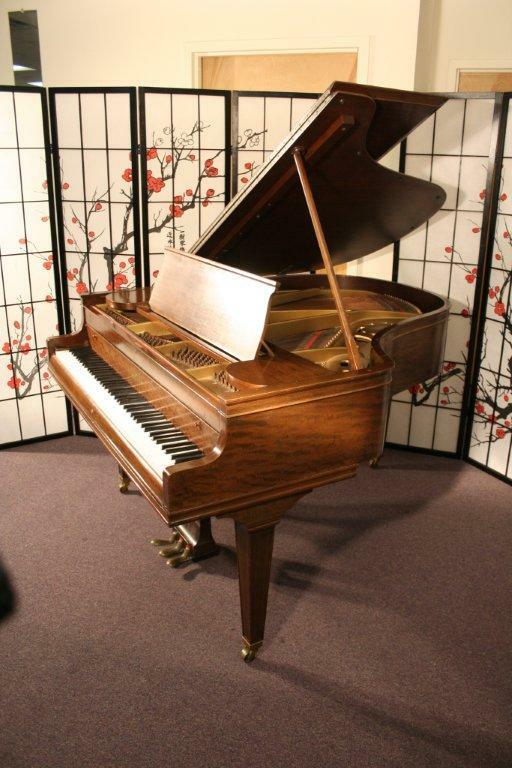 Chickering was one of the great American hand crafted Piano manufacturers of the 19th & 20th centuries. Chickering had one of the first patents for the metal plate inside all pianos. When this piano was rebuilt a few years back they put on new hammers, new strings, dampers, pins, they regilded/repainted the plate and reinforced the soundboard and refinished the case. Warranty. Free Long Island/NYC delivery all else continetal USA only $475. Three year old plays and dances with her keyboard to win contest on Facebook! Here are just a few of the video entries uploaded into Sonny’s Pianos’ “Win a Free Piano Contest” TV show on Facebook. Click below to view video!